So, I haven’t exactly been hiding, but I spent much of the past 9 months looking like this, so there hasn’t been much time for blogging. Our third born, June Powers, arrived on August 23rd, 2017 at 11 AM, one week early, via a scheduled c-section. And she is just beautiful. None of us can stop looking at her. She came into the world kicking and screaming and weighing in at 7 lbs 3 oz, our smallest baby yet. She is quiet and gentle until she gets hungry. Then she is pissed. She seems to be unfazed by the screaming/yelling, non-stop talking, and tackling that goes on in our house, so I think she will survive here nicely. Her first week here has been chaotic. James and Reese both started school and there were visiting days and orientations, not to mention dealing with the aftermath of a pipe that burst in our basement while we were in the hospital. Meanwhile, June is straight chillin’ all day long. She sleeps at night. The first couple of nights home from the hospital I actually had to wake her for her feedings. For the record, when other people told me they had to do this with their newborn babies, I secretly never believed them. I know this may not continue, but it’s nice to have right now, while trying to recover from the c-section and get two kids up and out the door for school in the morning. Sidenote: I laugh a little inside when I say things like “get the kids up and out the door for school.” It’s so mom-ish. I actually love the chaos this time around. 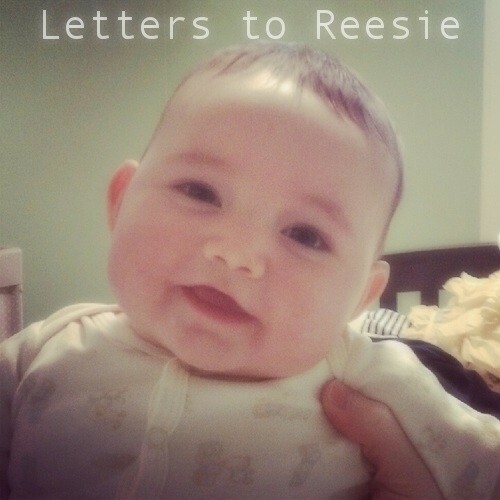 Reese was born in November and because the weather was terrible, flu season was nearing, and she was our only child, her and I pretty much spent her first winter hunkered down in our living room watching Laguna Beach reruns. When James arrived two years later in March, the weather was better but we also had a two-year old who wasn’t in school yet, woke insanely early, never went to bed easily and could do very little for herself. Sicknesses ravaged our house those first few months and those were probably some of the hardest days of my life. I could remember feeling guilty just wishing that James would hit that 3 month mark and maybe start sleeping better. I felt like I was wishing his babyness away. So far, I don’t have those feelings this time. Now, Reese is in school full-time, we have swimming lessons and soccer practices to go to and June will be dragged to everything. Much like any younger sibling, and I think she will roll with it. Here are some glimpses of our first few days. Great family. I’m glad is mine. James seems to be trying to read what is says outside of the crib in the Hospital’s nursery. Adorable babies and parents. Thank you for the post.